I see some people write comments that are for example - in italics. I do not see any way of doing that while writing my comments. Why is it so? As for why the site doesn't tell you how to do this, I can't say. The site now has a "help" link when writing a comment which tells you exactly what I have written above. Click the help link under [add comment] to see a summary of the available formatting options. Use *** *** around your text for bold italics like this. Not the answer you're looking for? 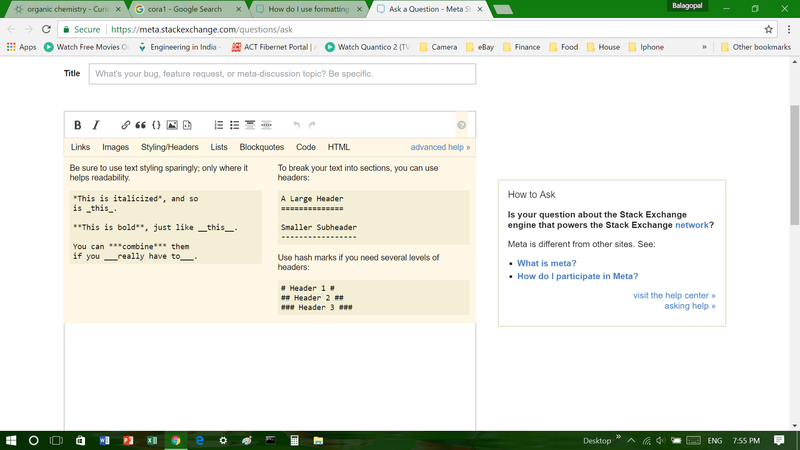 Browse other questions tagged support comments markdown . How can I use syntax highlighting in comments? How do I format code in comments? How to create text as a link in the comments? Can we please have a place where changes to the markdown syntax are documented?